Thousands of Canadian residents hit hard by a retroactive tax signed into law by U.S. President Donald Trump have been dealt another blow, CBC News has learned. New proposed regulations issued by the U.S. Treasury Department and the Internal Revenue Service threaten to increase their tax hit. "You have to almost empty out your company and pay a lot of Canadian tax to avoid the U.S. tax," said Kevyn Nightingale, a partner with the accounting firm MNP. 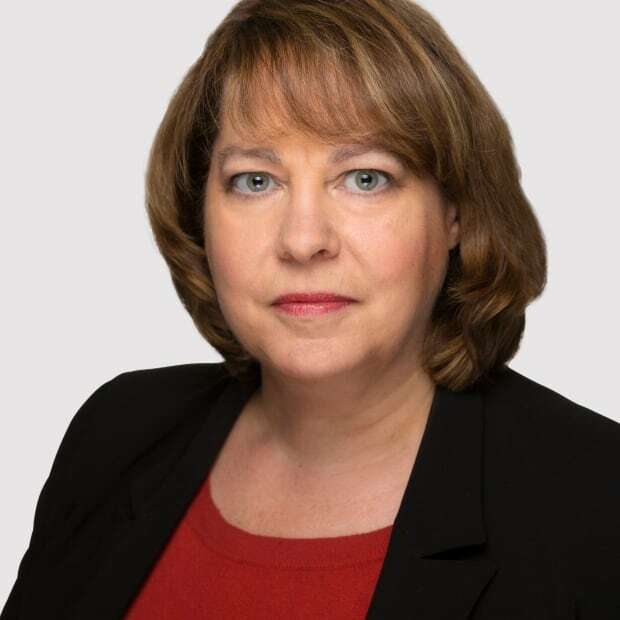 Kevyn Nightingale, a partner in the MNP accounting firm, says the proposed regulations will increase the tax hit for many Canadian residents. "It turns a very bad situation into the virtual liquidation of a corporation," said Toronto lawyer John Richardson. While many of those affected had hoped to use a long-standing U.S. tax deduction to take some of the sting out of their tax bills, the proposed regulations — contained in a guidance document from Treasury and the IRS issued last week — will allow only a portion of that deduction. Some experts say the proposed regulations may also violate a Canada-U.S. tax treaty that is supposed to prevent double taxation. "My answer is likely yes — that the IRS guidance does violate the tax treaty," said Max Reed, a Vancouver-based cross-border tax lawyer with SKL Tax. The new 249-page guidance document is the latest twist in a complicated tale that some tax experts have described as a "nightmare." 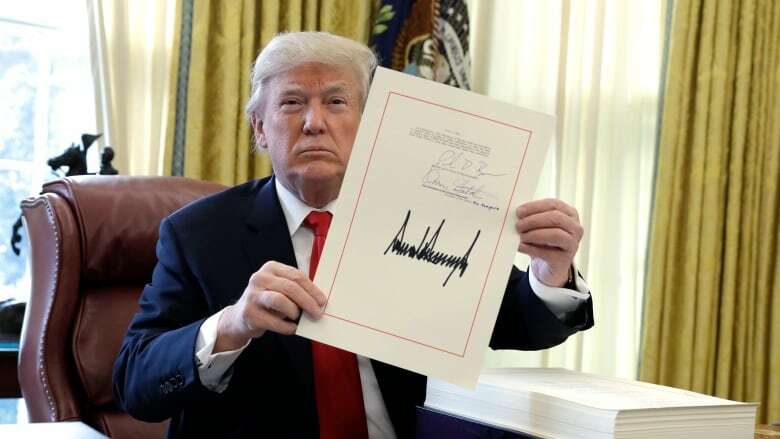 In December, Trump signed a sweeping tax reform bill into law. It included the Transition Tax, also known as the Repatriation Tax, which was meant to get big American multinational companies like Apple and Microsoft to stop parking billions of dollars in foreign subsidiaries. As a result, many Canadian residents with U.S. or dual citizenship — particularly those who have used their small corporations to save for their retirements — are facing tax bills amounting to hundreds of thousands of dollars on all of the retained earnings in their corporations going back to 1986. Some bills run into the millions. While the tax is being levied on money sitting in corporations, it's the owners who have to declare the money on their 2017 tax returns. In June, those hit by the tax were given a temporary reprieve — more time to file their tax returns and to make their first payments to the IRS. Tax lawyers and accountants have been grappling with the new tax, trying to find the best way to help their clients. Some of those advisers have been telling their clients to take money out of their corporations. While doing that would trigger a Canadian tax hit, under the Canada-U.S. tax treaty, tax payments made to one country are generally deductible in the other. However, under the proposed regulations, the U.S. government plans to only allow a fraction of that deduction. Experts say that may force many of those affected to take more money than they planned out of their companies and pay more in Canadian tax in order to mitigate the U.S. repatriation tax. "The result of the guidance is that the amount that they're going to have to take out to avoid the double tax has increased significantly, and that is going to make this more expensive," said Reed. Nightingale said many of his clients are going to have to take twice as much out of their Canadian corporations than they had planned on to avoid the transition tax. 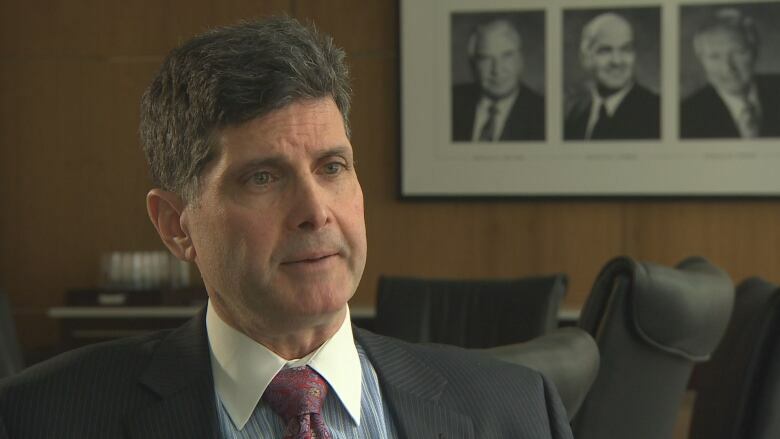 "You have to pay out a whole lot of dividends from your corporation to generate Canadian tax so that you can claim a foreign tax credit in the U.S."
For Canada's federal government, that could result in a temporary tax windfall, Nightingale said. "For the government of Canada, it's great ... It's actually going to bump Canadian federal and provincial revenues." Tax lawyers and accountants say many of their clients — particularly those with dual citizenship and few, if any, ties to the U.S. — are already angry at the repatriation tax, and the proposed regulations aren't going to make it any better. "The guidance is going to make people even angrier and I think that's completely justifiable," said Reed. "There is a treaty between the two countries and the point of that treaty is to make sure you don't pay tax twice on the same income ... this is a risk here and the guidance has made that worse." Reed and Richardson said they believe the proposed regulations may violate the Canada-U.S. tax treaty. "Is it a violation of the tax treaty itself for the United States to not allow the full amount of tax paid on a dividend in Canada to be used as a tax credit against the transition tax?" said Richardson. "I think it may very well be." Canada's federal Department of Finance is still analyzing the potential impact of the tax and won't say whether the proposed regulations could violate the tax treaty. "There are a number of tax changes underway in the United States," said department spokesperson Jack Aubry. "The overall impact on U.S. citizens resident in Canada will depend on their personal situations. "We recognize that certain U.S. tax changes are causing difficulties for U.S. citizens resident in Canada. The Department of Finance is conducting detailed analytical work to consider the impact of [the] U.S. tax reform." Getting out of paying the repatriation tax by renouncing U.S. citizenship also has gotten harder. Those hit by the tax can elect to pay it over eight years — but the new guidance says those who renounce their U.S. citizenship have to pay it immediately. Richardson said some people may have to keep their U.S. citizenship because they can't afford to pay the entire repatriation tax at once. "It actually makes it impossible to renounce U.S. citizenship, turning U.S. citizenship into a sort of debtors' prison," he said. Richardson said the tax has fuelled efforts to lobby for a change in the way U.S. expats are taxed. The American Chamber of Commerce in Canada is organizing a talk in Toronto Thursday with Solomon Yue, CEO of Republicans Overseas, to discuss plans for a bill to tax Americans based on where they live rather than on their citizenship.